Catch the spot or stain when fresh. Chances for removal are 75% better. Absorb instantly! Carefully blot or scrape the excess before any application. Avoid use of liquids that might spread the stain. Don’t brush it! Test carpet in a hidden area before using products to make sure damage or discoloration won’t occur. Apply spotter to white terry cloth towel. Work from outside of stain or spotted area toward inside to avoid spreading the stain. Excessive brushing will leave an afro effect. Rinse! Then soak or blot all moisture after treatment. Dry with terry towel and brush nap to a standing position after stain is gone. After final blotting, if you feel there is still too much moisture before you brush up the nap, place a stack of white cloth towels about three quarters of an inch thick over the spot and weight them with a heavy object. Leave for about 5 hours. We recommend Folex Stain Remover available in most stores that sell cleaning supplies. This product works well for general spotting. For oily stains use organic solvent (Orange Gel) available at most home improvement stores. For animal based stains use vinegar and water solution. Colour added stains such as coffee or juices may require specialized treatment. Some stains may be permanent. 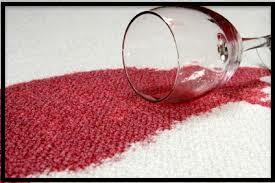 Oxy-Dry® works very well on stains – even stains left behind by other carpet cleaning systems. We have a variety of safe products to treat a myriad of stains. When Oxy-Dry®cleans your carpet, we will always apply our Durashield protector to ensure your carpet resists soiling and staining like it did when it was new and stays clean up to 3 times longer!